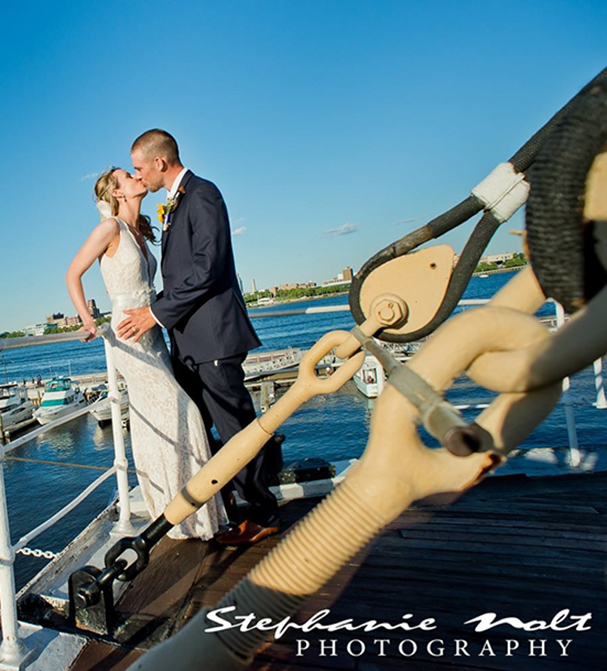 Create your own storybook wedding aboard a Philadelphia landmark. Our private rooms take full advantage of the unparalleled views of Philadelphia’s waterfront and skyline, including the newly remodeled State Room. Our multi-level decks offer a glorious open air experience, as well as tented space, which is heated for year round use. The finest cuisine is paired with our skilled professionals, resulting in a memorable wedding for you and your guests. We offer a variety of packages starting at $95 per person. Contact us to check availability and to begin planning your special day.